One of Kate's requests; I'd have skipped the cat myself because it's such a simple and common variation but it was hard to say no to her. 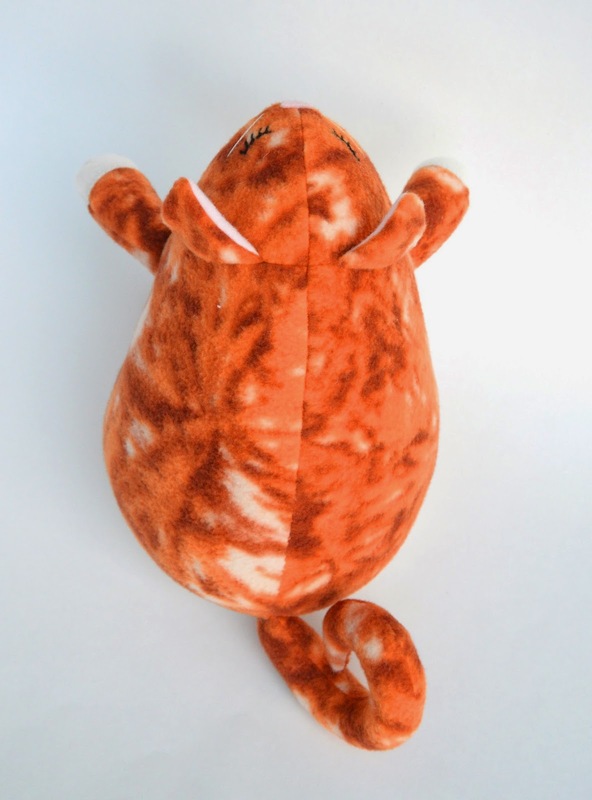 This was supposed to be a solid cat with felt markings, but I couldn't believe how hard it was to find a solid ginger-orange fleece for this guy. All the stores had were bolts of Halloween Orange, Neon Huntingvest, Rapunzelhair Gold, Rumplestiltskin Straw and Bandaid Tan (I made up those names in frustration; don't go asking for them in JoAnn unless you want to be kicked out). Eventually, I decided to settle for print. The prints weren't exempt from the funky shades, either, but this tie-dyed one at least didn't have skulls or team mascots on it. It made a good sleepy kitty, even if it wasn't quite the ginger tabby I'd imagined. And it was a superfast sew, since there were no body embellishments at all. Now that's a "fat cat"! Definitely a rare breed, too, with that unusually-marked coat. 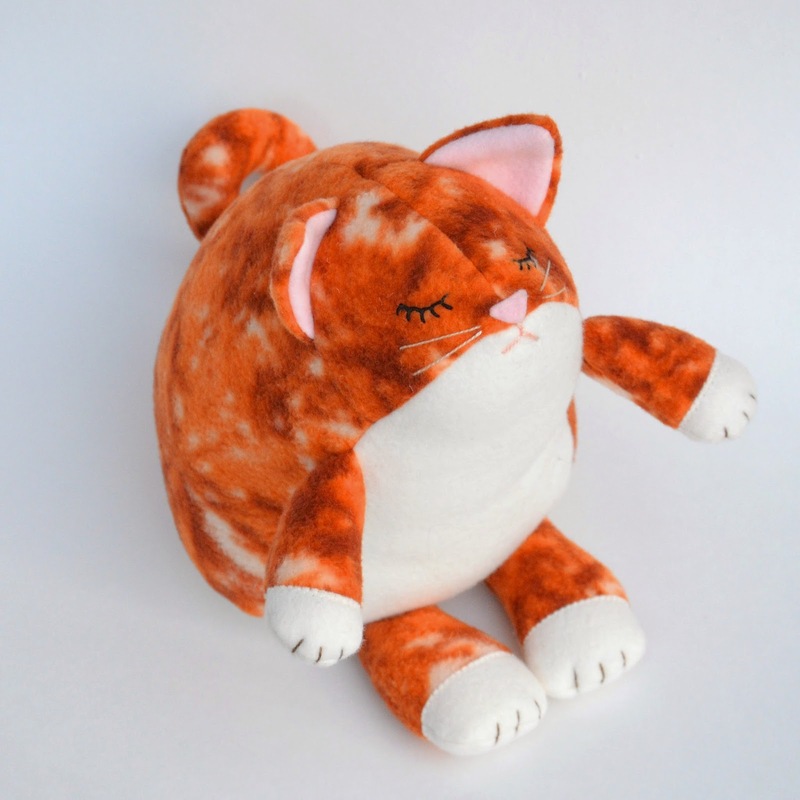 :) But such a huggable one that I'm sure kids will love! Which reminds me that I've been meaning to ask... how big are these softies? Ah, I've never gotten round to including the kids in the photoshoot with the critters. When the weather warms up, I will. They're hug-size, so about 10"? 11"? tall. I've never measured! I should. Yes. I have seen that fleece and wondered about a use for it several times. 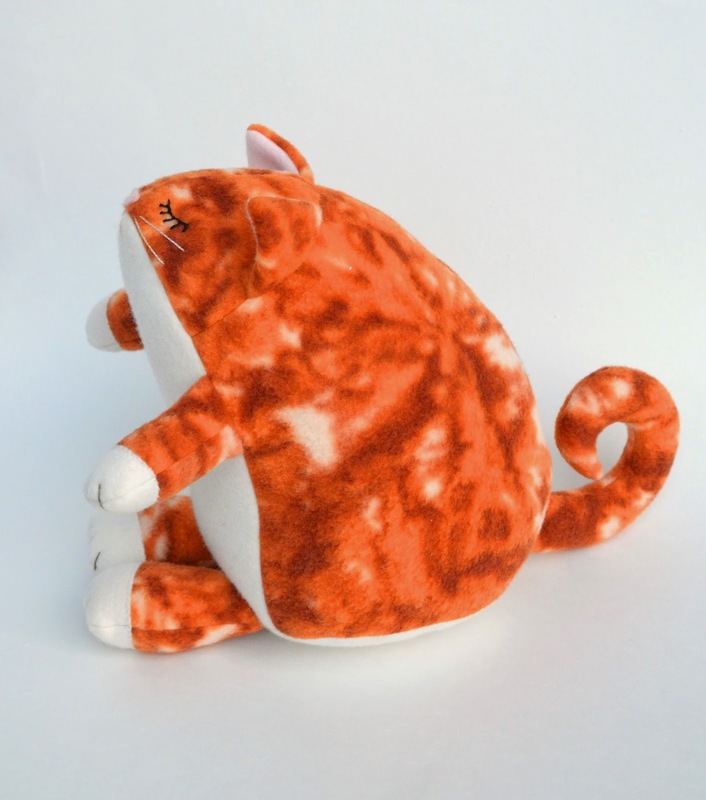 I think it is perfect for a cat! Yep this one is adorable too! I already have a request for the dragon, the penguin, and I can hardly wait to see the peacock. That is my favorite of all your critters!!! I can just see this guy sprawled out in a sunny window, watching the blue jays. Oh, I love your cat! 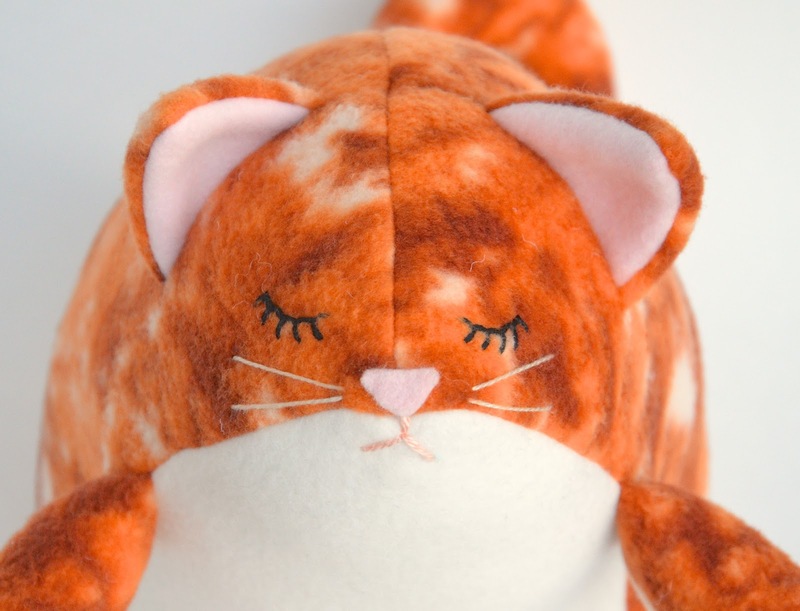 I need to make one for five-year-old Lily, who desperately wants a cat (but Mike is allergic).